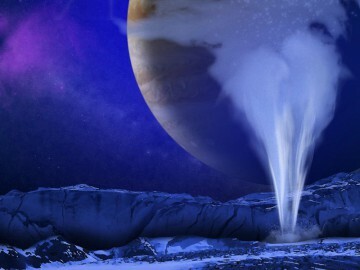 The mission would also investigate another, still controversial aspect of Europa: the possible existence of water vapour plumes similar to those on Enceladus. 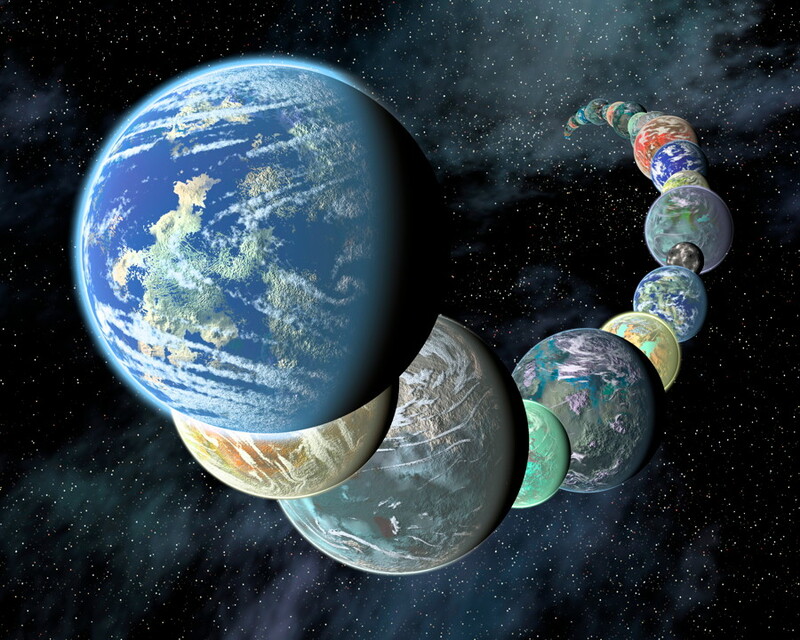 They were first tentatively observed by the Hubble Space Telescope in 2012, but more recent studies have not yet conclusively seen them again. They may be periodic or very faint, or possibly not really there at all. 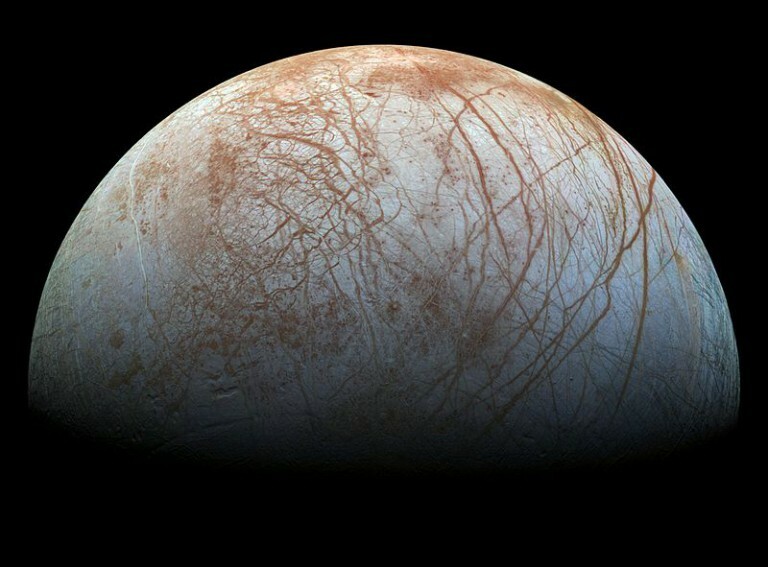 But if they are, they could provide a much easier way of determining just what conditions are like in the Europan ocean below the ice cover, since they would likely originate from that ocean, like they do on Enceladus. 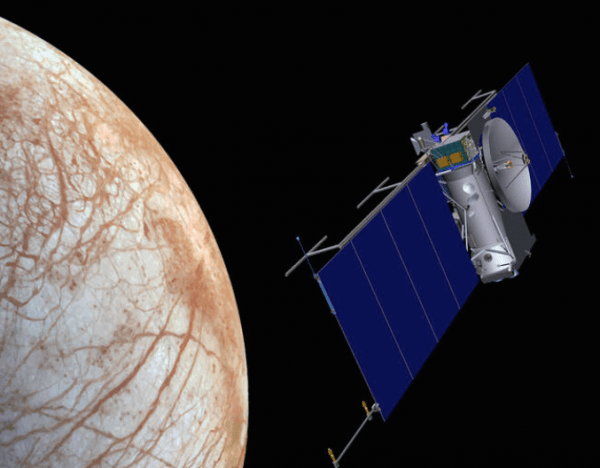 A nominal mission would include 45 close flybys of Europa at altitudes ranging from 2700 kilometres to 25 kilometres (1700 miles to 16 miles) above the surface. Very little is known about what a lander would include, since NASA has only just now been told to develop one, but it almost certainly would have cameras and instruments to analyze ice and rocks. There is a lot of work to do to prepare the mission for a 2022 launch, especially if a lander is now part of the equation. 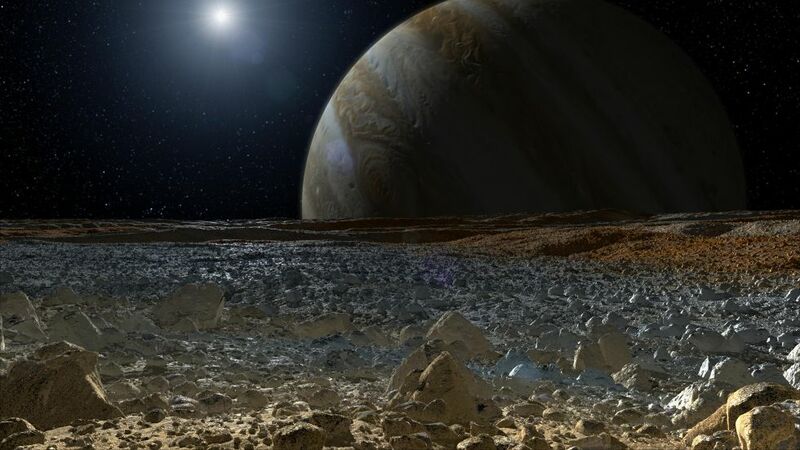 Landing on Europa will require surviving the harsh radiation from Jupiter on the surface, as well as extreme cold, around -210˚ C (-410˚ F). The lander will likely have a minimum 10-day lifespan, powered by batteries, although it may also be able to use solar panels to extend that a bit more. Life of any kind would be unlikely on the surface, but if there is any biological activity in the ocean below, the deposits left there might hold clues. Let me get this right. Bolden thinks the lander is scientifically imprudent. So they will squander billions to see if the conditions were ever right for life, as they on Mars. If you aim low enough you can not fail. Bolden should go. Maybe theres room for him on the lander?